Filled with errands, tutoring sessions, Nerf warfare, and skateboarding, our weekends roll on Mommy’s minivan. It fits everyone, holds everything, and gets decent gas mileage. A modern-day station wagon, it is the ubiquitous suburban utility vehicle. It is also—to a family of boys—totally not cool. Today was different. We woke to a flat tire. The boys grinned. My husband shrugged. I pointed at his muscle car. Sunday, November 6, 2011. I’m thankful for my husband’s over-priced bucket. This is post six in the National Blog Posting Month and Thirty Days of Thanksgiving. 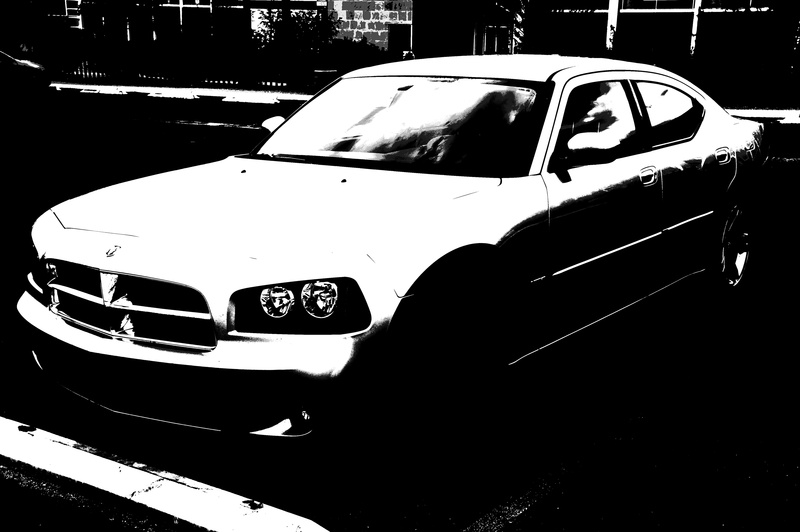 Photo of my husband’s Charger RT taken with a Sony NEX-5N.